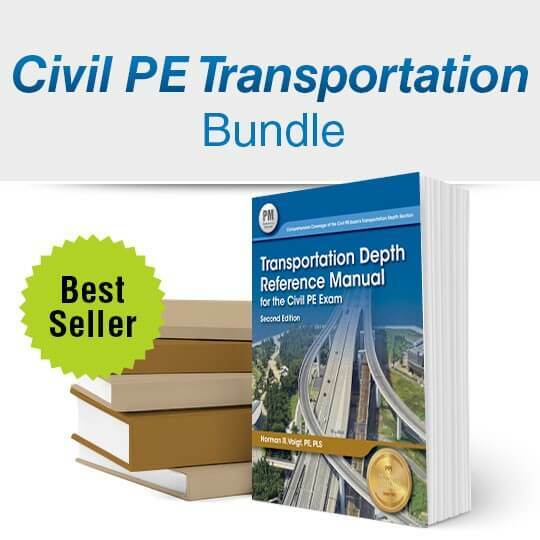 Civil PE Transportation Bundle (CTP4): This is the Civil PE Transportation Bundle that PPI has put together for you. It includes all the books you need for this depth section of your exam. Six-Minute Solutions: Transportation prepares you to answer even the most difficult morning and afternoon transportation problems in just minutes. 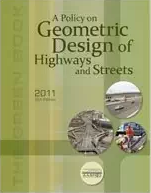 This text covers topics in geometric design, traffic analysis, traffic safety, traffic planning and construction. 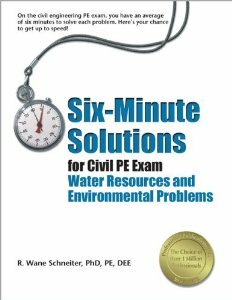 PE Civil: Transportation Sample Questions and Solutions: This book contains 40 questions from the Civil morning specifications and 40 questions from the Civil Transportation afternoon specifications. Solutions are provided. This is developed by the NCEES organization and will the most life-like exam you can get. 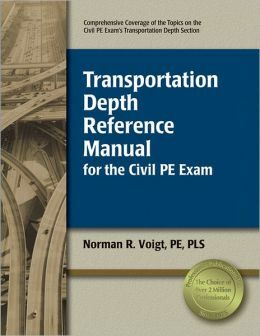 Transportation Depth Reference Manual for the Civil PE Exam: To pass the Civil PE exam’s transportation depth section, you’ll need to be familiar with the exam topics and how to use relevant equations. 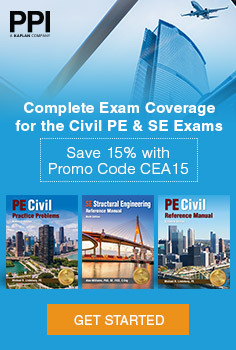 The Transportation Depth Reference Manual for the Civil PE Exam provides comprehensive coverage of the exam topics. Detailed tables, figures, and appendices make it possible to solve many exam problems using the Depth Reference Manual alone. Example problems demonstrate how concepts are applied, and end-of-chapter problems provide opportunity for independent practice. The Civil PE exam’s transportation depth section requires a thorough familiarity with relevant codes. Consequently, the Transportation Depth Reference Manual is updated. 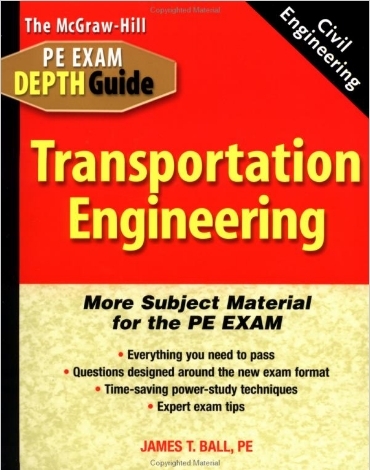 Transportation Engineering: Designed to complement the McGraw-Hill Civil Engineering PE Exam Guide: Breadth and Depth, this subject specific “depth” guide provides comprehensive coverage of the subject matter applicants will face in the afternoon portion of the PE exam. 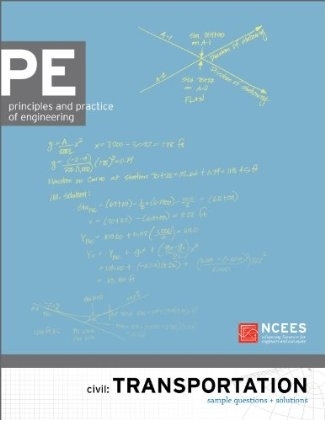 Each book, authored by an expert in the field, will feature example problems from previous exams along with power study techniques for peak performance. 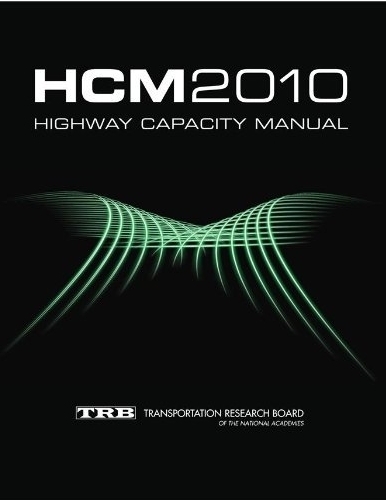 Highway Capacity Manual 2010: This latest edition will significantly update how engineers and planners assess the traffic and environmental effects of highway projects: It is the first HCM to provide an integrated multimodal approach to the analysis and evaluation of urban streets from the points of view of automobile drivers, transit passengers, bicyclists, and pedestrians; It is the first to address the proper application of micro-simulation analysis and the evaluation of those results; It is the first to discuss active traffic management in relation to both demand and capacity; and It is the first to provide specific tools and generalized service volume tables, to assist planners in quickly sizing future facilities. Policy on Geometric Design of Highways and Streets 2011: This fifth edition of AASHTO’s “Green Book” contains the latest design practices in universal use as the standard for highway geometric design and has been updated to reflect the latest research on superelevation and side friction factors as presented in NCHRP Report 439. New exhibits in Chapter 3 will help designers to quickly and accurately determine the side friction factors, superelevation rates and minimum radii. The book includes 418 exhibits, tables, and drawings, dual units, larger format to provide easy-to-read text and graphics, and much more. 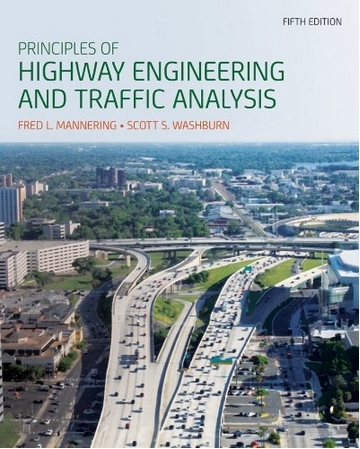 Principles of Highway Engineering and Traffic Analysis: The 5th edition of the Mannering’s Principles of Highway Engineering and Traffic Analysis continues to offer a concise approach that covers all the necessary fundamental concepts. New features in this edition include updates and more consistency with the latest edition of the Highway Capacity Manual (HCM); the inclusion of sample FE exam questions, call-out of common mistakes; and added coverage on a qualitative description of the mechanistic approach. 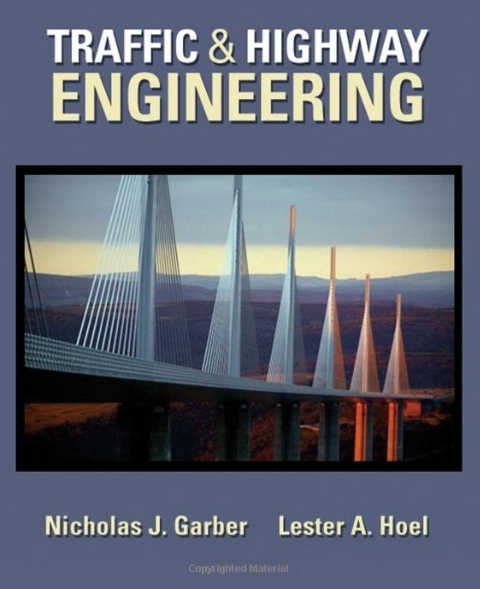 Traffic & Highway Engineering, 4th Edition: The new edition of Garber and Hoel’s best-selling text focuses on giving students insight into all facets of traffic and highway engineering. Students generally come to this course with little knowledge or understanding of the importance of transportation, much less of the extensive career opportunities within the field. Transportation is an extremely broad field, and courses must either cover all transportation modes or focus on specifics. While many topics can be covered with a survey approach, this often lacks sufficient depth and students leave the course without a full understanding of any of the fields. This text focuses exclusively on traffic and highway engineering beginning with a discussion of the pivotal role transportation plays in our society, including employment opportunities, historical impact, and the impact of transportation on our daily lives. This approach gives students a sense of what the field is about as well as an opportunity to consider some of its challenges. Later chapters focus on specific issues facing transportation engineers. The text uses pedagogical tools such as worked problems, diagrams and tables, reference material, and realistic examples to demonstrate how the material is applied. This was updated as of January 2014. 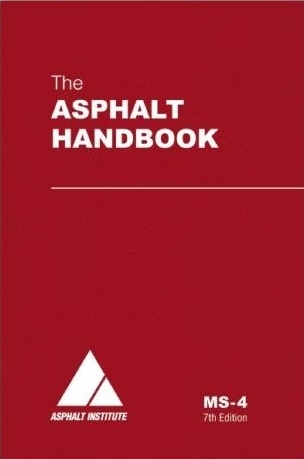 The Asphalt Handbook: Superpave asphalt binder, Superpave mix design, stone matrix asphalt, open graded friction courses, quality control & acceptance, pavement management, and rehabilitation of concrete pavements with HMA. This book is all about asphalt! 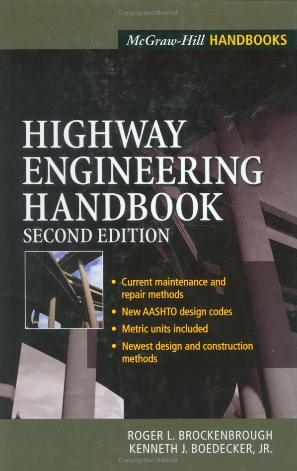 Highway Engineering Handbook, 2nd Edition: This comprehensive handbook compiles the full scope of information necessary for effective and cost conscious contemporary highway design. The contributing engineers review environmental issues, location, design, traffic, pavement design and rehabilitation, bridge engineering, culvert design, signing, lighting and life cycle costs, as well as present special discussions on the selection and design of retaining walls to reduce traffic noise and screen unsightly areas. It includes illustrations, maps, graphs, and tables. 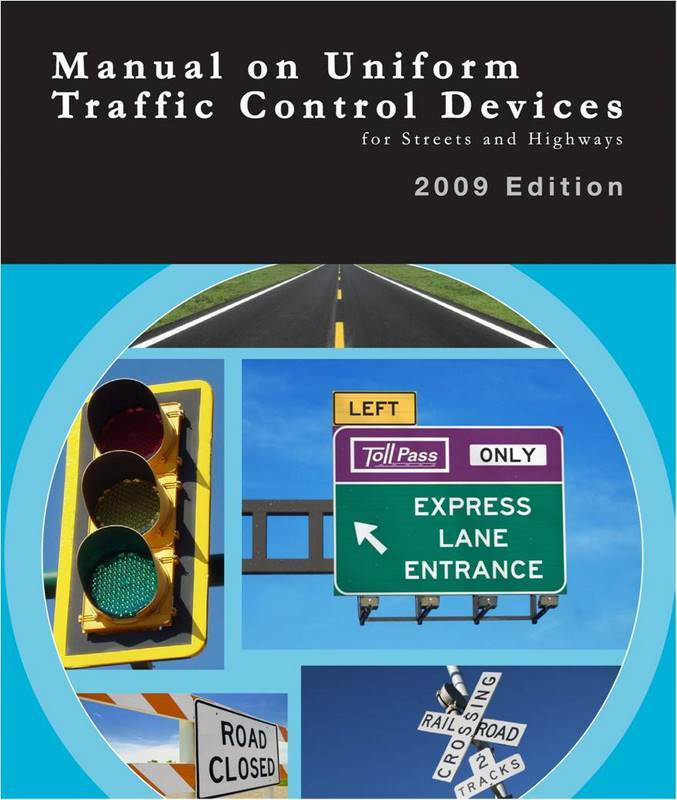 Manual on Uniform Traffic Control Devices 2009: For Streets and Highways: The Manual on Uniform Traffic Control Devices, or MUTCD defines the standards used by road managers nationwide to install and maintain traffic control devices on all public streets, highways, bikeways, and private roads open to public traffic. The MUTCD is published by the Federal Highway Administration (FHWA) under 23 Code of Federal Regulations (CFR), Part 655, Subpart F. The MUTCD, which has been administered by the FHWA since 1971, is a compilation of national standards for all traffic control devices. 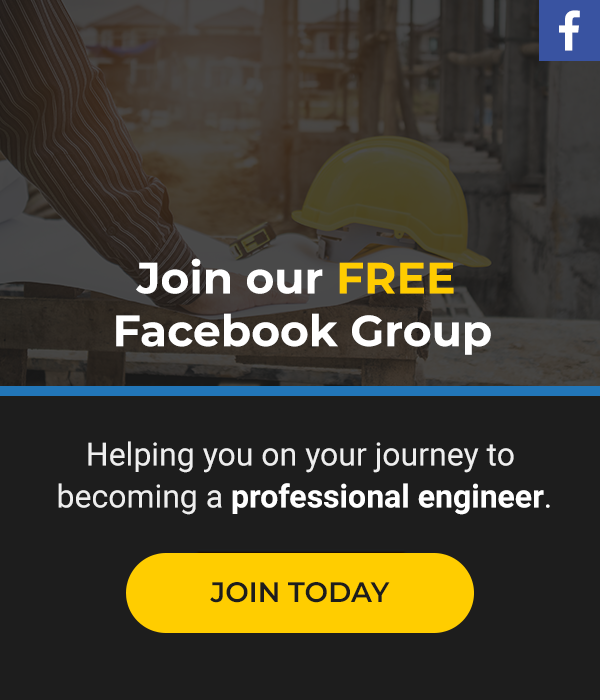 Pavement Engineering: Principles and Practice: Pavement Engineering covers the entire range of pavement construction, from soil preparation to structural design and life-cycle costing and analysis. It links the concepts of mix and structural design, while also placing emphasis on pavement evaluation and rehabilitation techniques. State-of-the-art content introduces the latest concepts and techniques, including ground-penetrating radar and seismic testing. The text facilitates a general course for upper-level undergraduates, covering the selection of materials, mix and structural design, and construction. 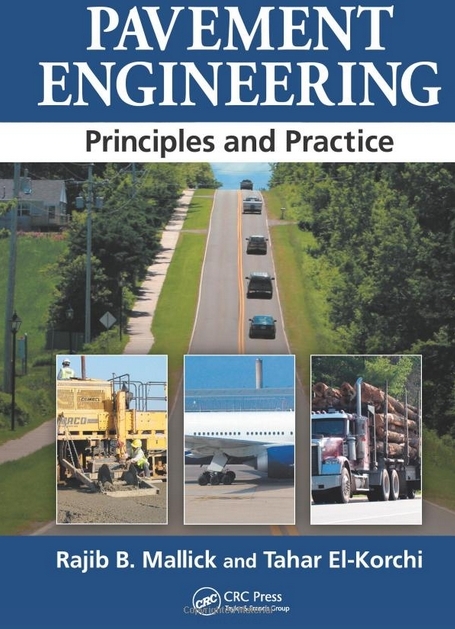 It also provides laboratory and field tests accompanied by a discussion of new and advanced concepts.This unique text prepares the next-generation of engineers with the core principles and application knowledge needed to maneuver in the ever-expanding pavement engineering industry. 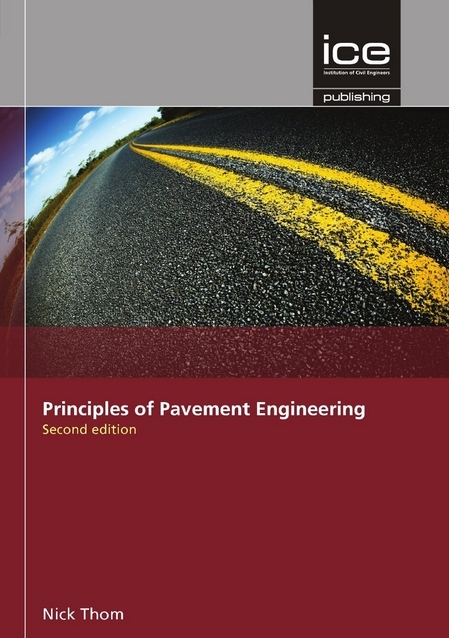 Principles of Pavement Engineering: Principles of Pavement Engineering, 2nd edition builds on the previous edition, expanding on the fundamental principles of pavement engineering, concentrating on an understanding of the behavior of pavement materials and of the real meaning of tests carried out on those materials. It includes necessary updates, such as: warm-mix asphalt, as it is increasingly environmentally attractive; cold-mix asphalt; asphalt recycling; bridge deck surfacing; design against potholes; treatment of Stress Absorbing Membrane Interlayers; surface treatments; pavement edge issues; and parking areas. This book also covers soils, granular materials and hydraulically-bound materials (including concrete), and will explain the various relevant engineering properties of those materials and how they are affected by such matters as compaction, water content, binder content etc. Pavement Analysis and Design: This up-to-date book covers both theoretical and practical aspects of pavement analysis and design. It includes some of the latest developments in the field, and some very useful computer software—developed by the author—with detailed instructions. 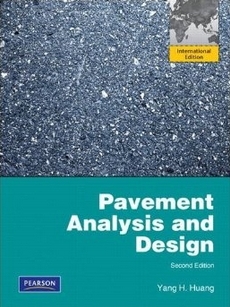 Specific chapter topics include stresses and strains in flexible pavements, stresses and deflections in rigid pavements, traffic loading and volume, material characterization, drainage design, pavement performance, reliability, flexible pavement design, rigid pavement design, design of overlays, theory of viscoelasticity, theory of elastic layer systems, Superpave, pavement management systems, and an introduction to the 2002 Pavement Design Guide. For practicing engineers in the design of pavements and raft foundations. 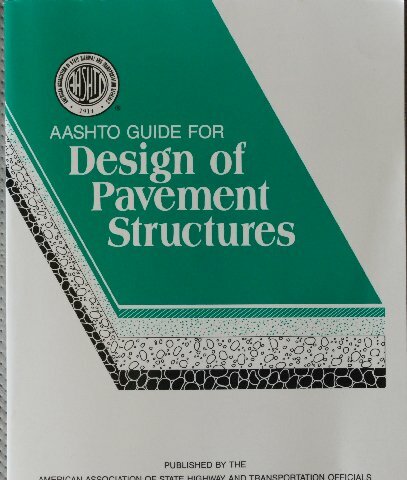 AASHTO Guide for Design of Pavement Structures 1993 + Supplement (Vol 1): This design guide provides approaches to pavement design including design and management principals, procedures for new construction or reconstruction, and procedures for rehabilitation of existing pavements. Provides material on overlay design methodology and rehabilitation, including seven overlay procedures and associated options. Supersedes 1986 edition of the same title. Traffic Engineering Handbook, 6th Edition: The Traffic Engineering Handbook continues to be a must have publication in the transportation industry, as it has been for the past 60 years. The handbook is a convenient desk reference, as well as an all in one source of principles and proven techniques in traffic engineering. Most chapters are presented in a new format, which divides the chapters into four areas-basics, current practice, emerging trends and information sources. How to prepare, take and pass the PE… the first time!